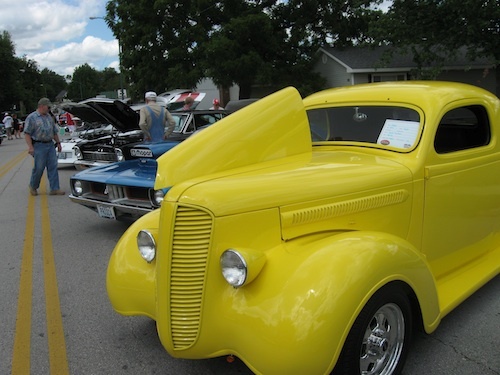 Get your kicks at the Birthplace of Route 66 – Festival & Car Show Saturday, Aug. 11. The the 2nd Annual festival is free and open to the public. The event will feature a car show, food vendors, and a special kids’ area. Car show registration is $15 in advance or $20 the day of the event. Prizes will be awarded for the car show in a variety of categories. Spectators will vote on their favorites. Car show registration is 7‐9:30 a.m. and awards are presented at 3 p.m., along with The John T. Woodruff Award. The Woodruff award recognizes an outstanding individual who has helped promote the historic highway. The award is named for the prominent Springfieldian who was the first president of the National Route 66 Association. Queen City Cats and Blue Plate Special at 10 a.m. The Detectives at 1 p.m. The Road Crew at 3p.m. The Road Crew is winner of the first ever “Bobby Troup Artistic Recognition Award” from the International Route 66 Association in 2011. They wrote a song especially for this festival. 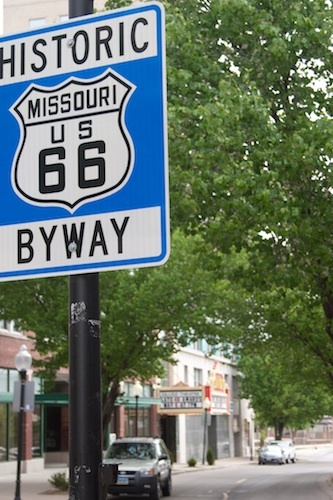 Springfield is officially recognized as the birthplace of Route 66. On April 30, 1926, officials first proposed the name of the new Chicago‐to‐Los Angeles highway. The Mother Road became the first completely paved transcontinental highway in America in 1938. Small sections of old Route 66 are still visible along the Route 66 By‐Pass, Kearney Street, Glenstone Avenue, College and St. Louis streets and on Missouri 266 to Halltown. Details: Route 66 Festival & Car Show is on Park Central square in downtown Springfield, 10 a.m.‐5 p.m. For festival information, visit www.facebook.com/Birthplace of Route 66 Festival, Springfield MO. The Best Western Route 66 Rail Haven offers spaciously-appointed guest rooms. An Elvis themed suite features a relaxing, jetted bathtub. Guests staying at this Springfield hotel will appreciate a complimentary continental breakfast, an outdoor swimming pool and hot tub. Springfield / Route 66 KOA Campgrounds 5775 W. Farm Rd 140, Springfield, MO, 65802, phone: 800-562-1228 or, 417-831-3645. Springfield’s only campground. 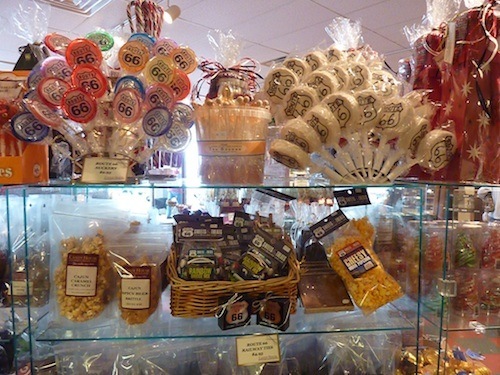 Even if you aren’t camping, visit their great Route 66 giftshop. Amenties include pool, playground, store, laundry and meeting rooms. Sparkling clean restrooms and showers. Climate-controlled cabins and cottages. Hours: Mon-Sat 9:30am-6pm, Sun noon-5pm. Location 1 – St. Louis & National (Follow Route 66), across from Dillons, near SMSU. 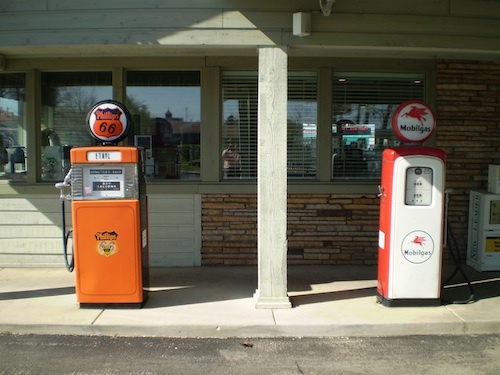 These are in the original ’50s and ’60s configuration with the original signage and décor. 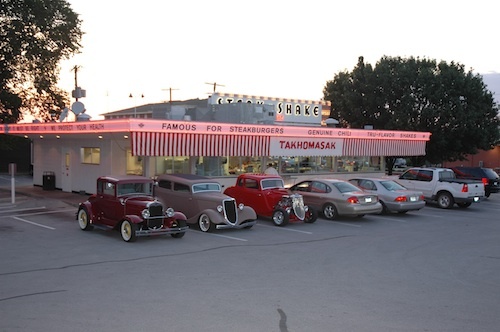 Steak ‘n Shake was founded in February, 1934 in Normal, Illinois. Gus Belt, Steak ‘n Shake’s founder, pioneered the concept of premium burgers and milk shakes. More Information – Visit Springfield or call the Convention &Visitors Bureau at 800‐678‐8767 to receive a free visitor guide, coupons and information packet.